Taylor International is a member of the FIDI Global Alliance, the largest global alliance of independent quality overseas moving and removal companies. The audit is repeated every 2 years. Taylor Moving & Storage is proud to be FAIM accredited since its inception. Taylor also belongs to a number of other networks to ensure that we have the best service in every city of the world and to expand our reach even further. Moving household goods overseas requires expert skills and careful, diligent planning. 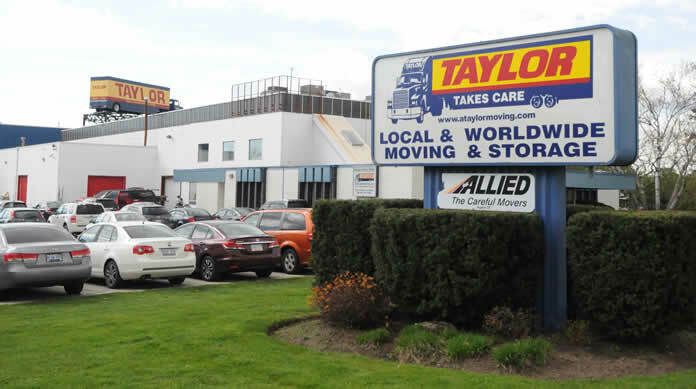 From packing and wrapping your household goods, to loading the shipping container, to unpacking and setting up your new home, Taylor takes care every step of the way. Watch our videos below to learn more. The first step in a successful international moving service is professional packing. Taylor's quality materials and skilled packers will make you feel at ease. Unlike on domestic moves where furniture blankets are used, your furniture is protected using our unique wrap. Again, only our dedicated Taylor team will provide this service. Worried about that irreplacable antique or an expensive painting? Taylor has a host of options to provide the upmost of protection. Professional loading is critical during international moves as the container will experience a lot of handling and shaking. Each country has their own rules and regulations regarding customs. Taylor will help you on each end to make sure you are in compliance. Our goal after we have delivered and unwrapped your belongings is to have your new home set up just as you want it, ready for the unpacking of boxes. The last piece in your moving journey, we aim to have your new house complete with the empty boxes taken away, feeling like you are indeed now home.